A brand-new Warlock card has been unveiled from Hearthstone’s upcoming expansion, Rise of Shadows. Plot Twist is a two-mana Warlock spell that allows you to shuffle your hand into your deck—and then you draw as many cards as you shuffled into your deck. It seems like this expansion is introducing ways for Warlock players to change the cards in their deck and hand. One other slightly-similar effect comes from the new Warlock Legendary that was previously revealed, Arch-Villain Rafaam. Rafaam is a seven-mana minion with seven Attack and eight Health. He has Taunt, but also a powerful Battlecry that allows you to replace your hand and deck with Legendary minions. 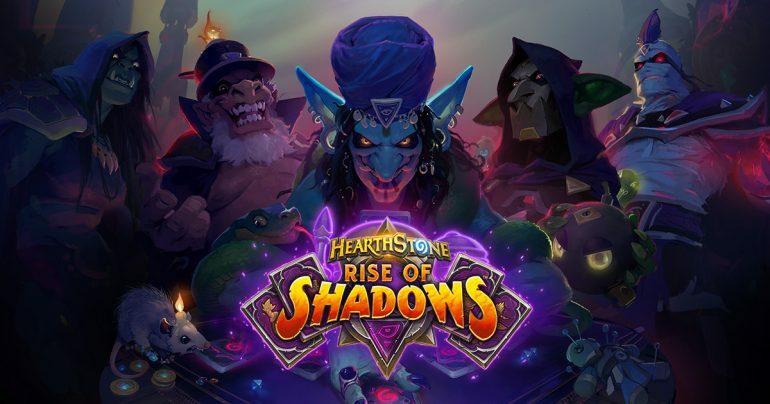 Hearthstone players will be able to try out these new Warlock cards and many others when Rise of Shadows is released on April 9.